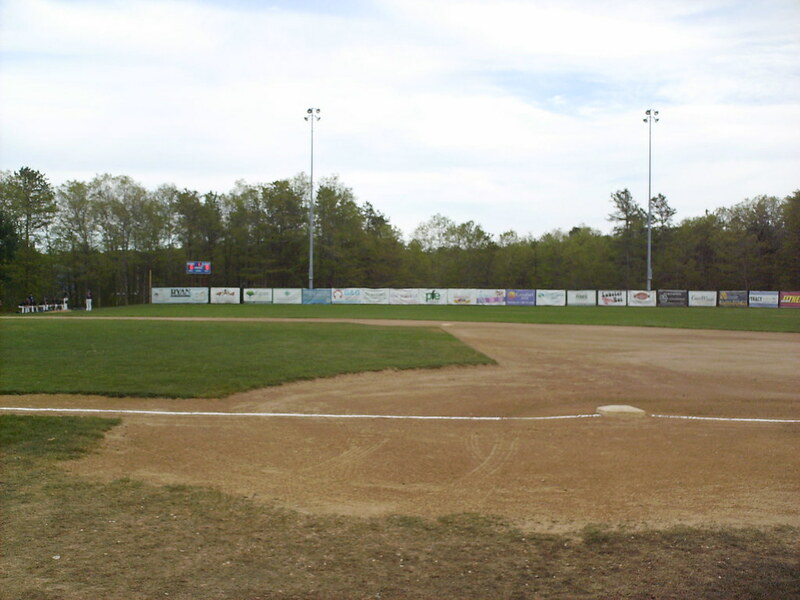 The view from behind home plate at Forges Field. 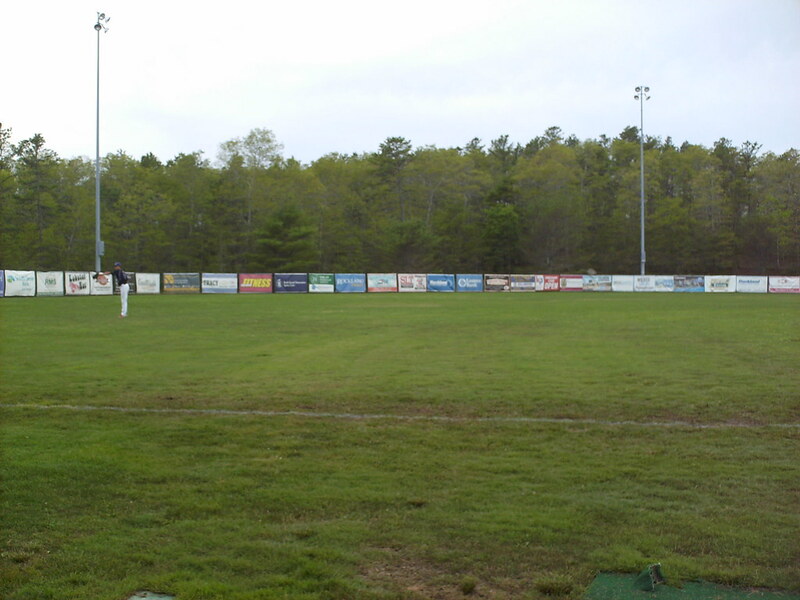 The "grandstand" at Forges Field is just a series of small wooden bleacher sections behind the chain-link backstop. 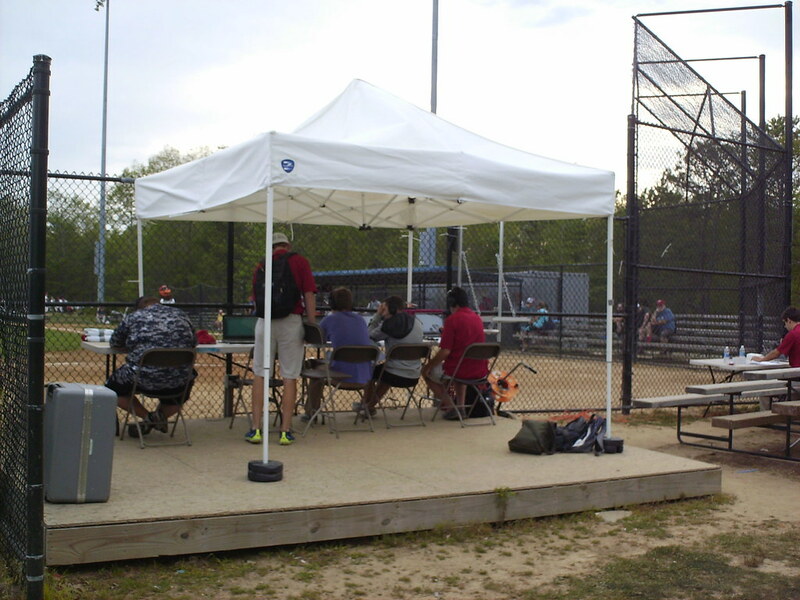 The pressbox is a tent covered table next to the visitor's dugout on the third base side of the field. 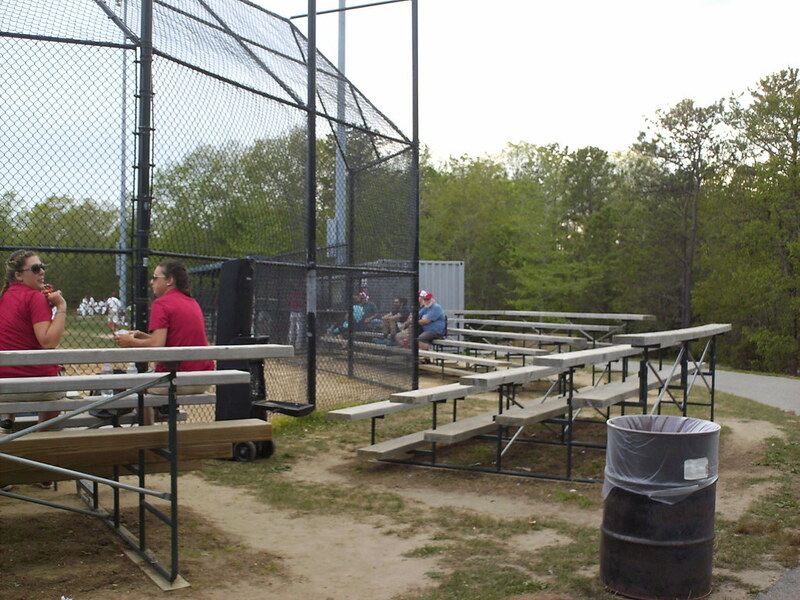 The small bleacher sections continue down the lines, and also act as billboards for the team. 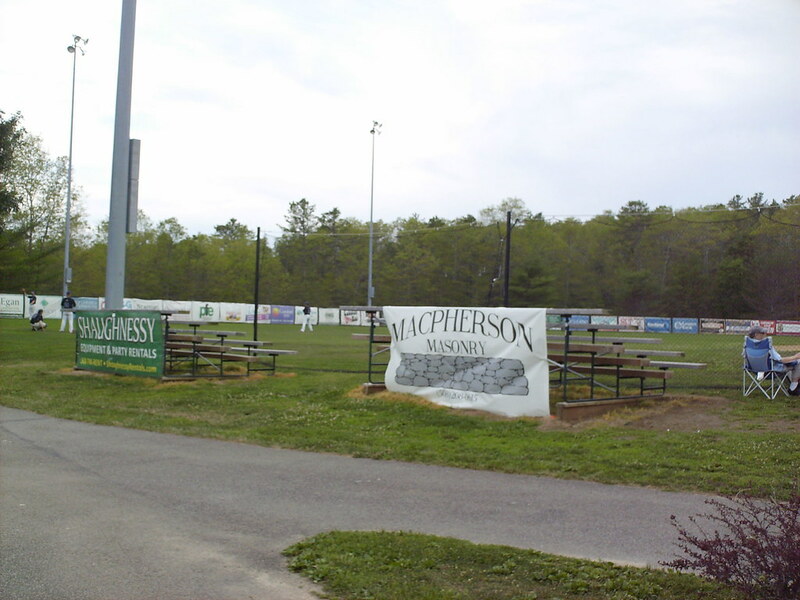 Picnic tables and room for lawn chairs surround the light towers down the first base line. 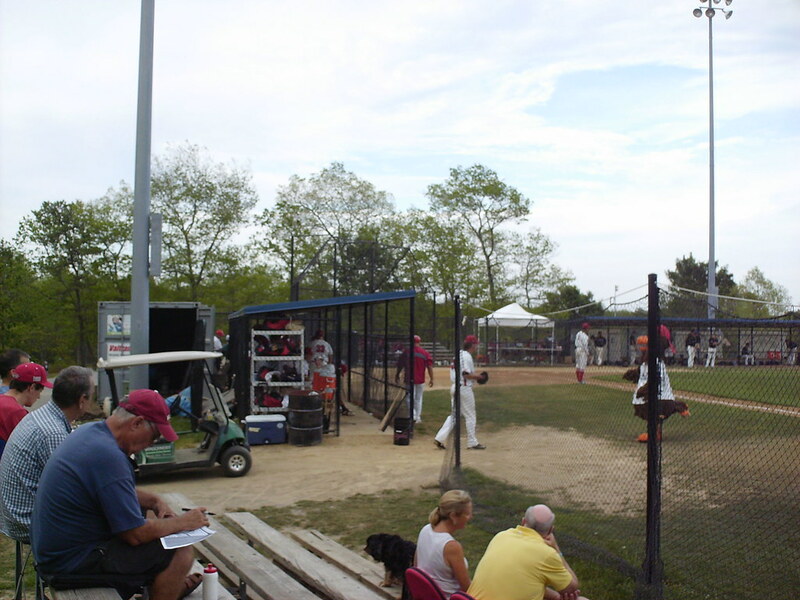 The dugouts at Forges Field are chain-link structures at field level. 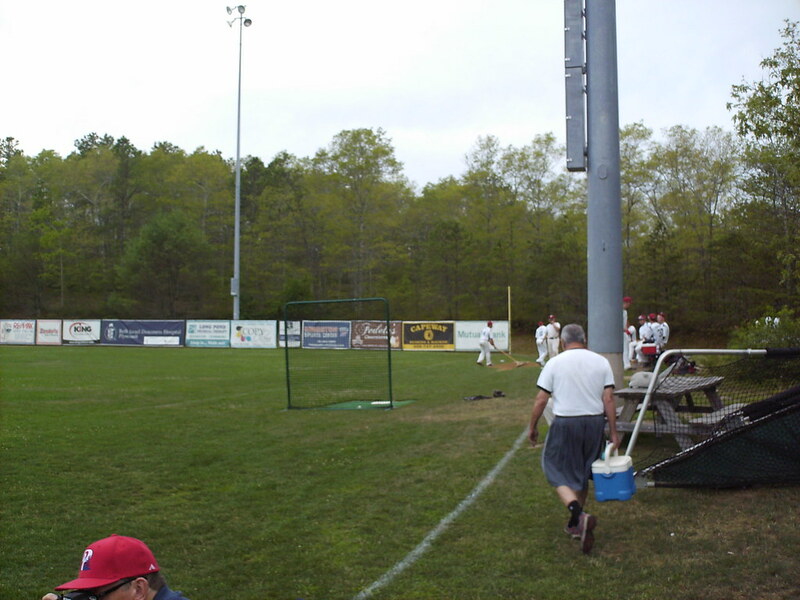 A net extends along the ground in front of the bleachers. 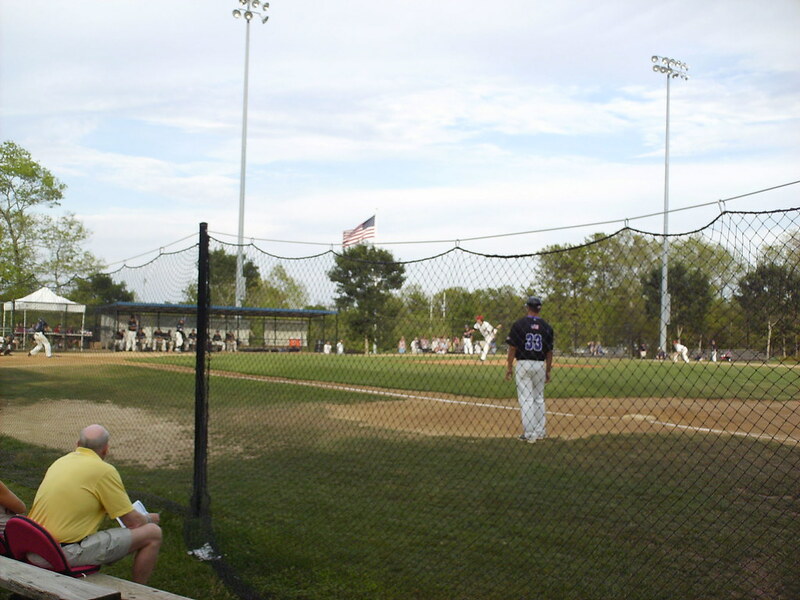 The flagpole sits behind the third base dugout. 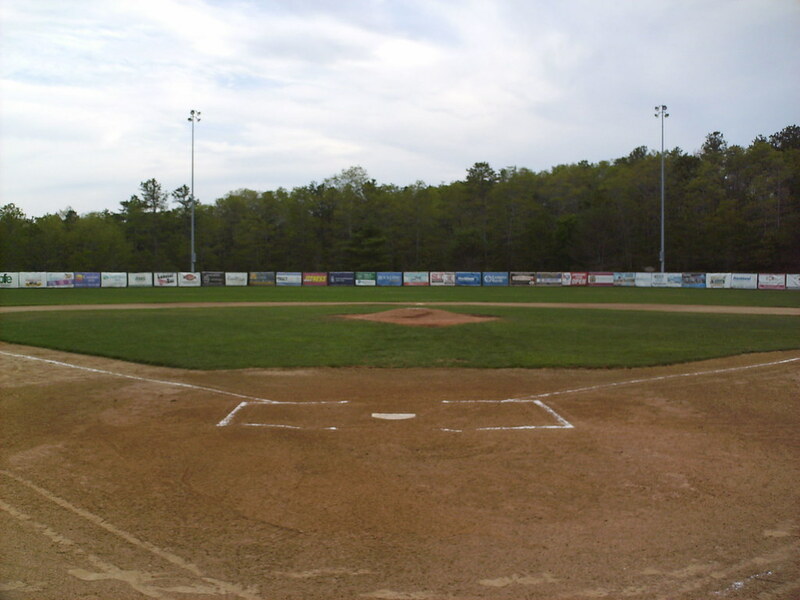 The area behind home plate is entirely dirt. 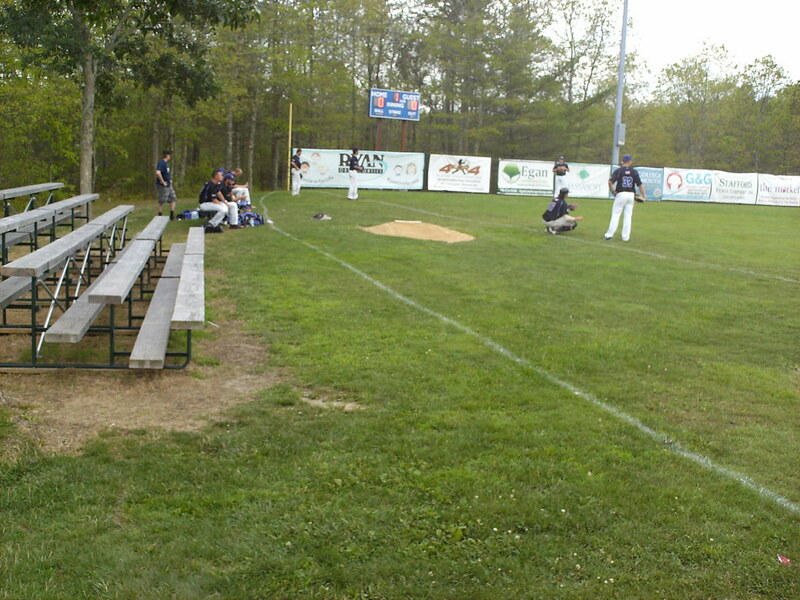 The bullpens sit in the outfield corners, and an extra set of lines on the ground designate the end of playable territory. 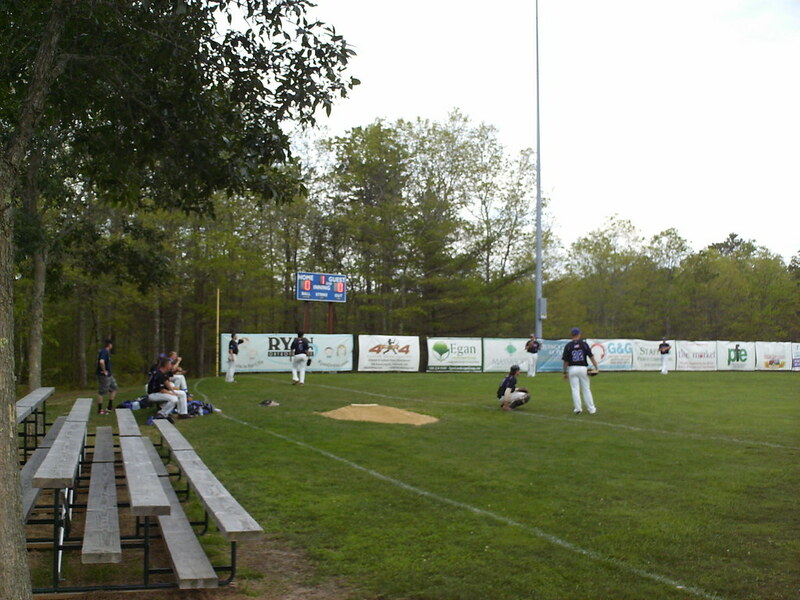 The outfield fence and wooded backdrop at Forges Field. 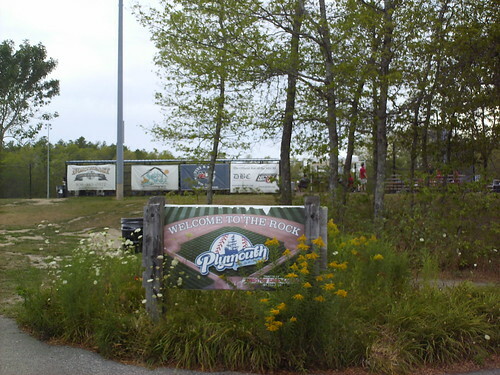 The small scoreboard sits behind the left field wall. 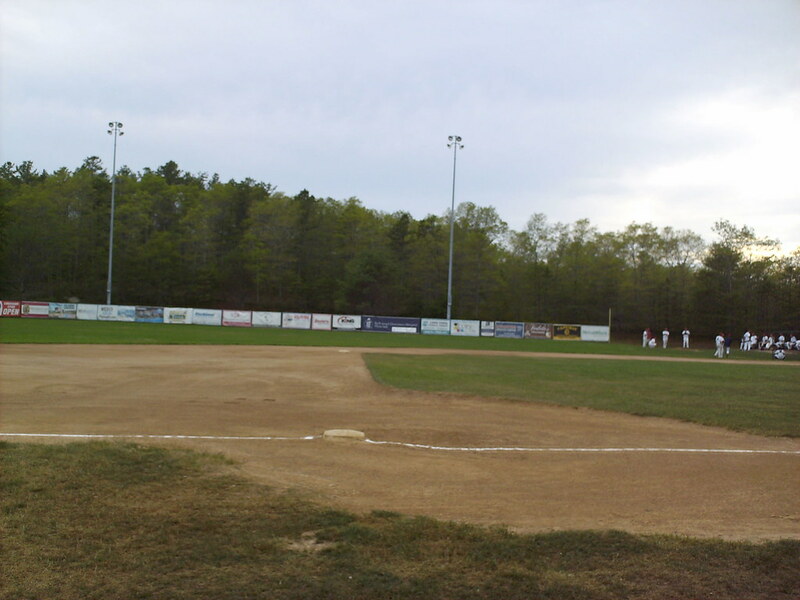 It shows only the innings and runs, not a full line score. 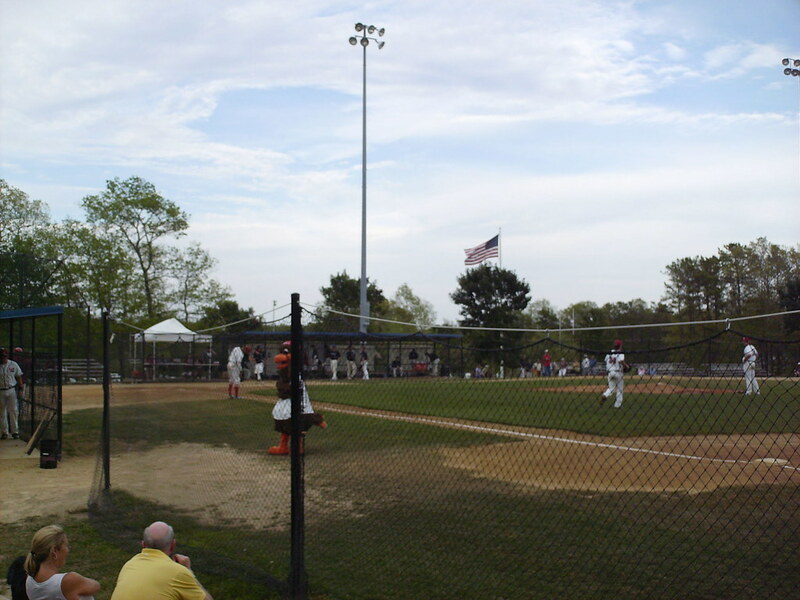 The Plymouth Pilgrims on the field during a game at Forges Field.